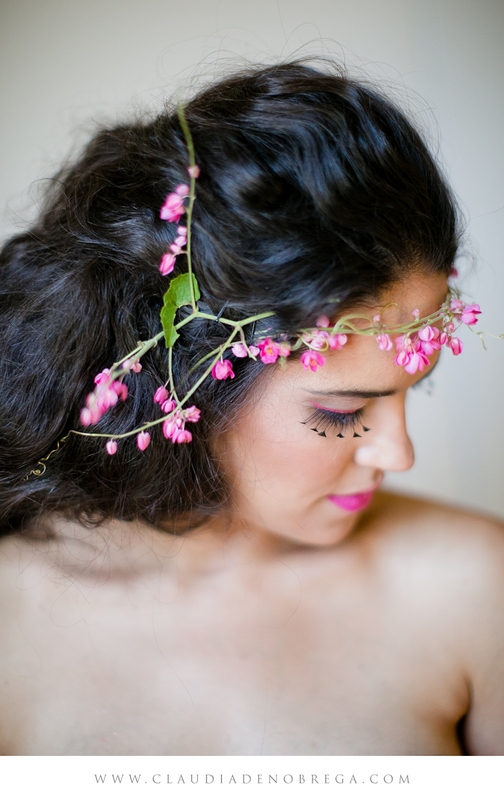 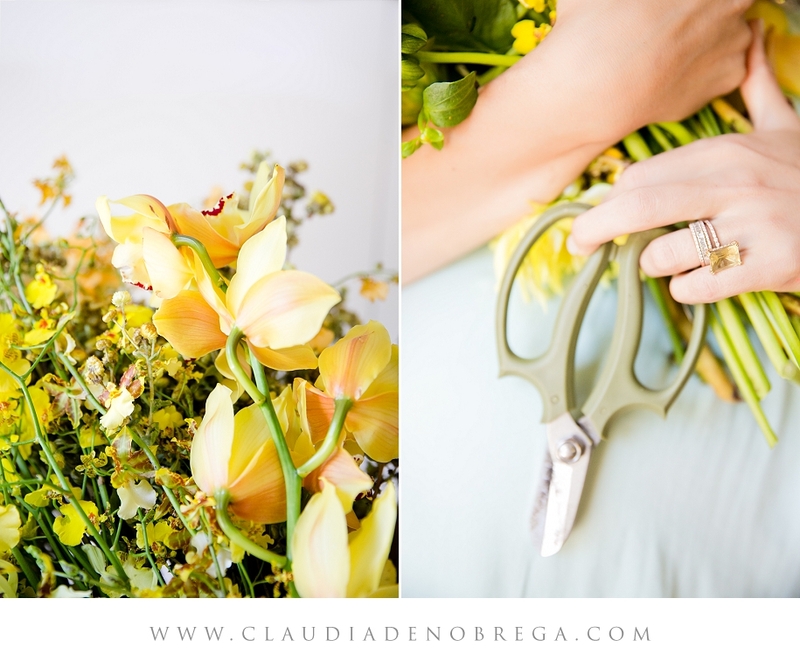 Heike is a floral genius, a floral artist, a floral extraordinaire! 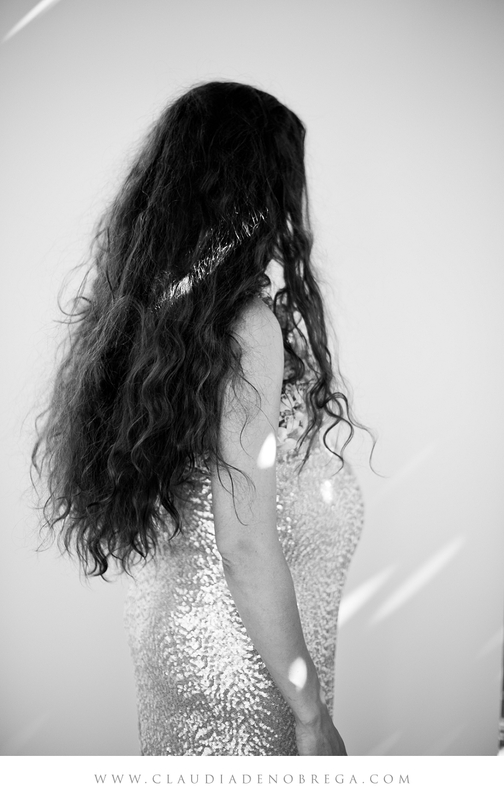 I could go on and on! 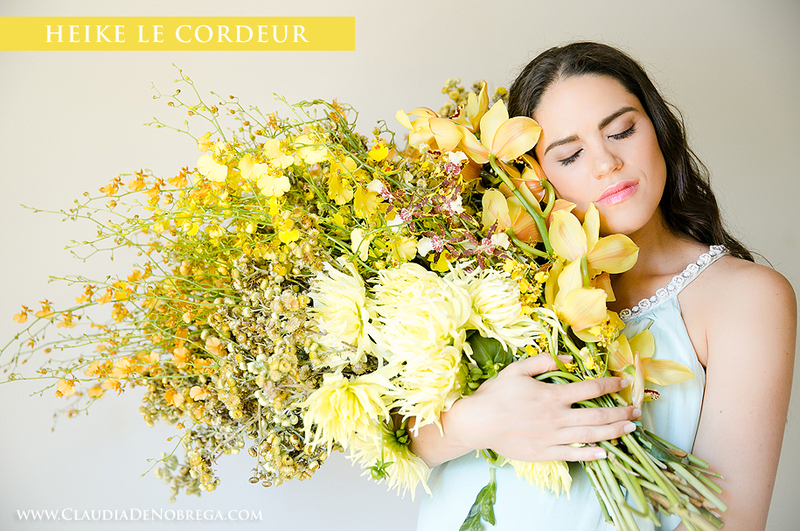 She is the owner of FLEUR LE CORDEUR. 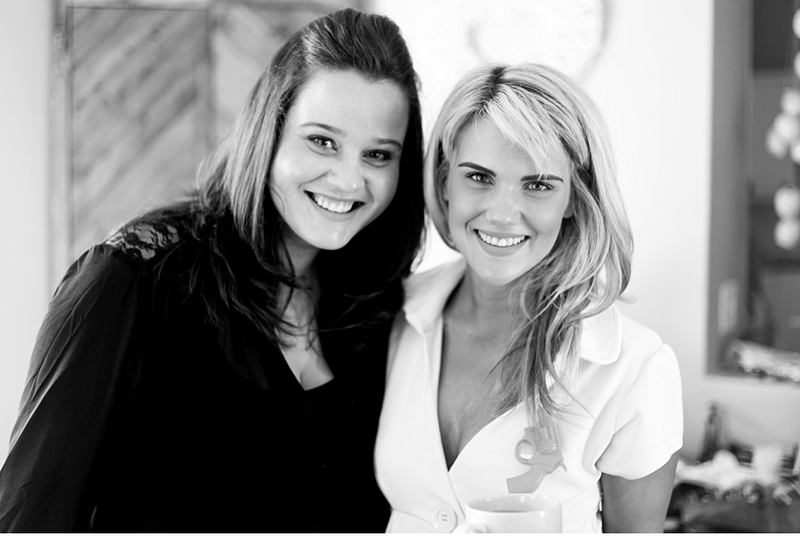 You will often see Heike on the Expresso TV Show on SABC 3 on our South African televisions. 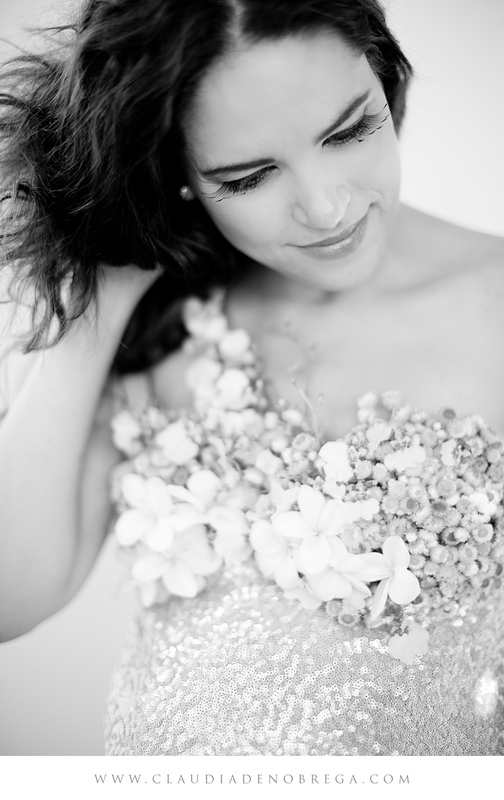 As well as in the top wedding and lifestyle magazines and online blogs. 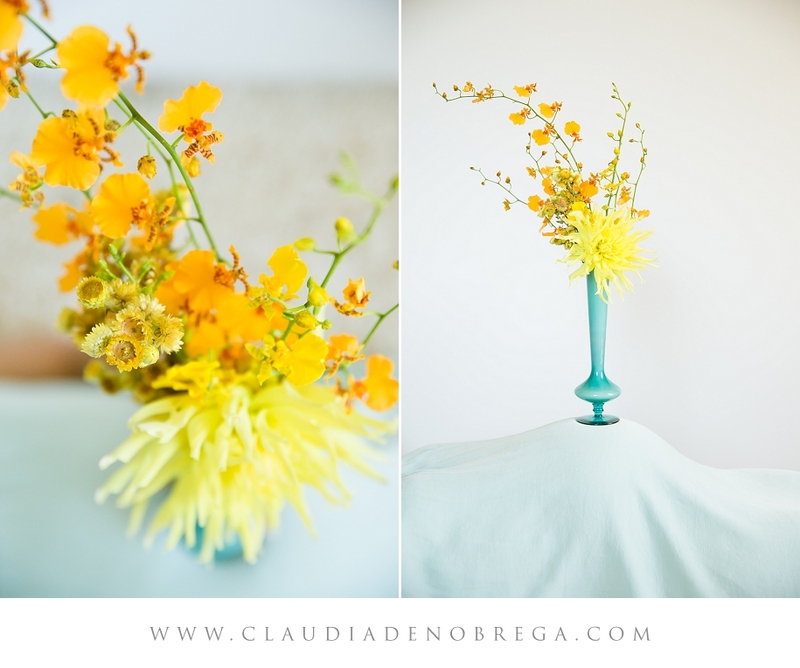 She has the ability to shape and arrange flowers like I have never seen before. 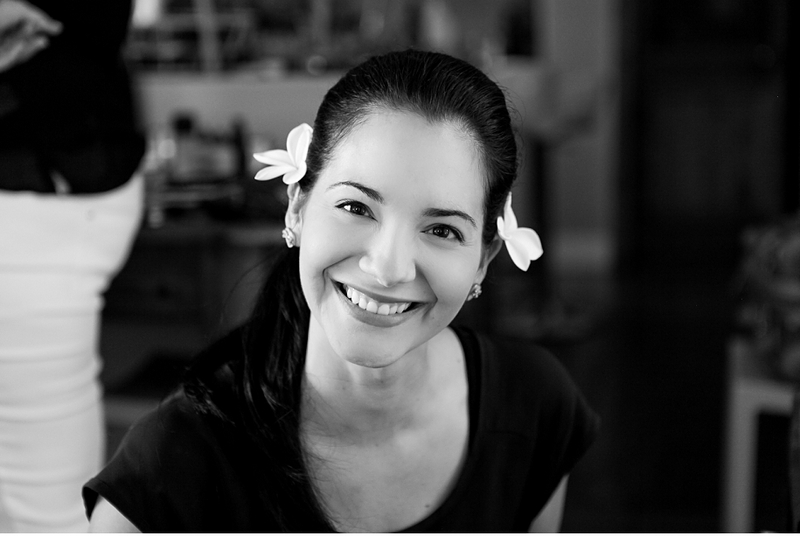 Her passion and her constant attention to detail make her in my opinion, the modern day Leonardo Di Vinci! 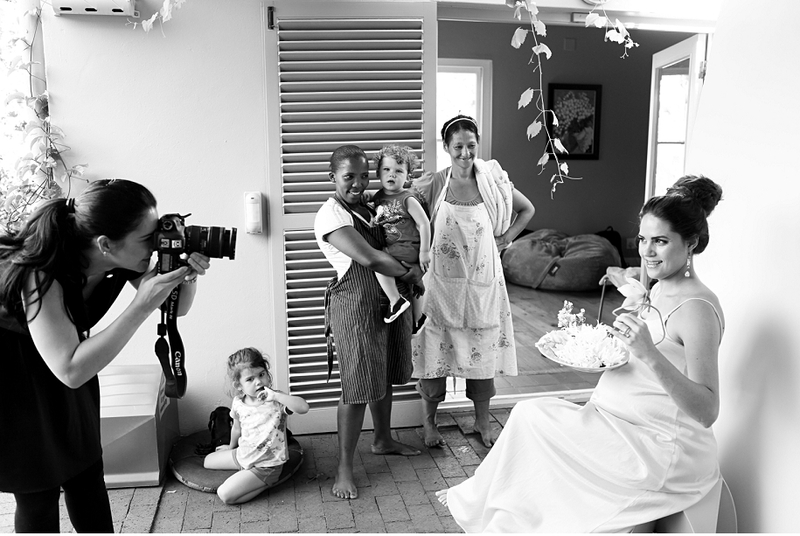 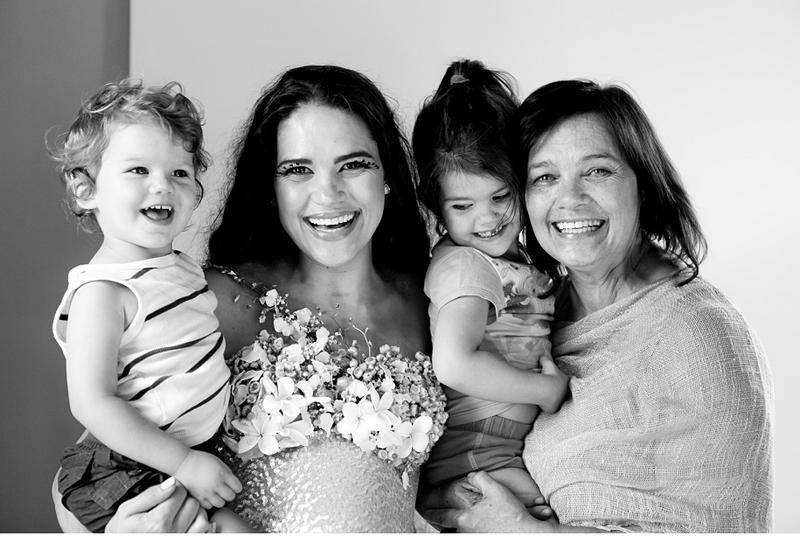 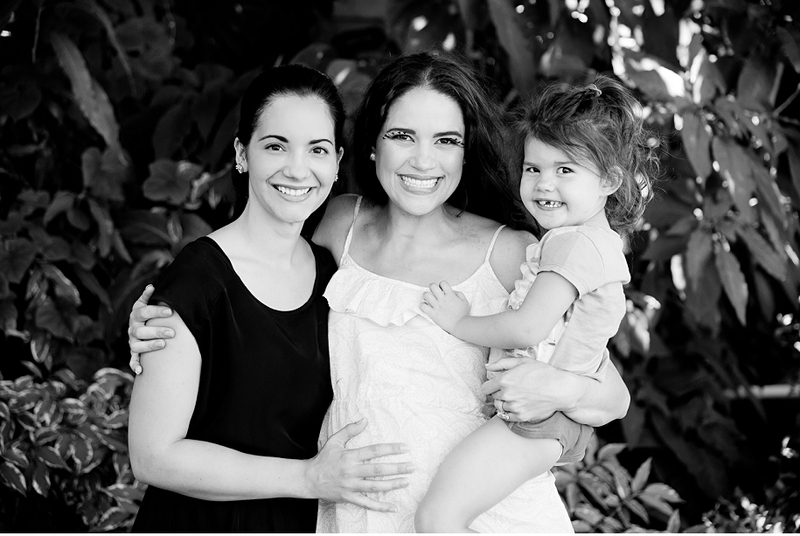 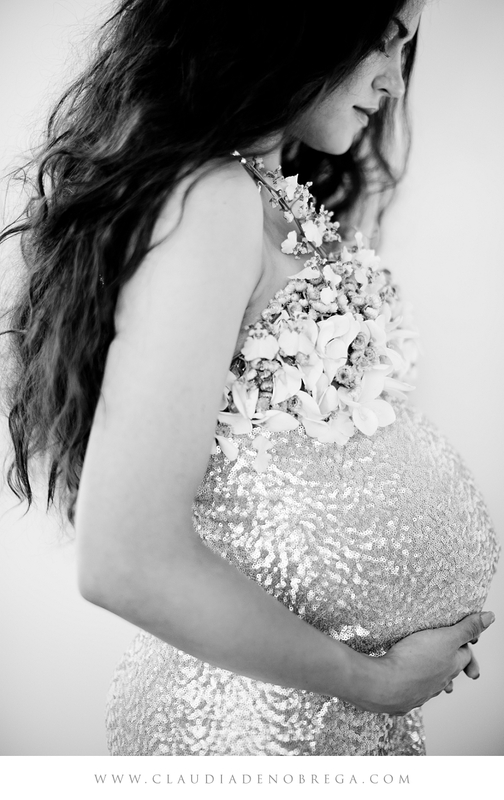 At the time of this shoot, Heike was expecting her third child, a little baby boy named Levi. 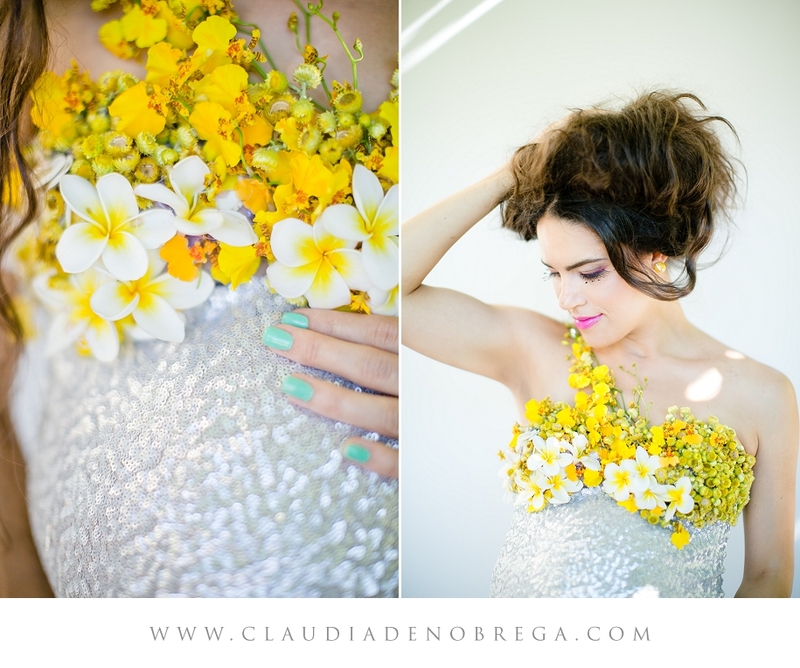 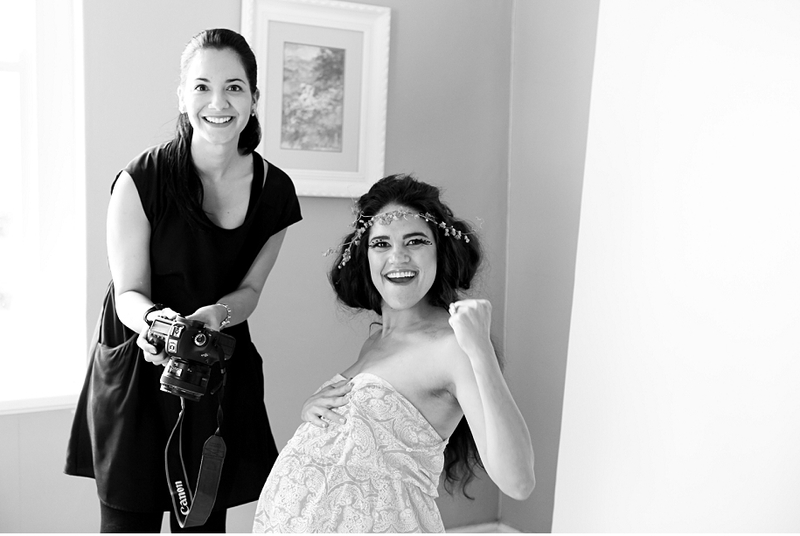 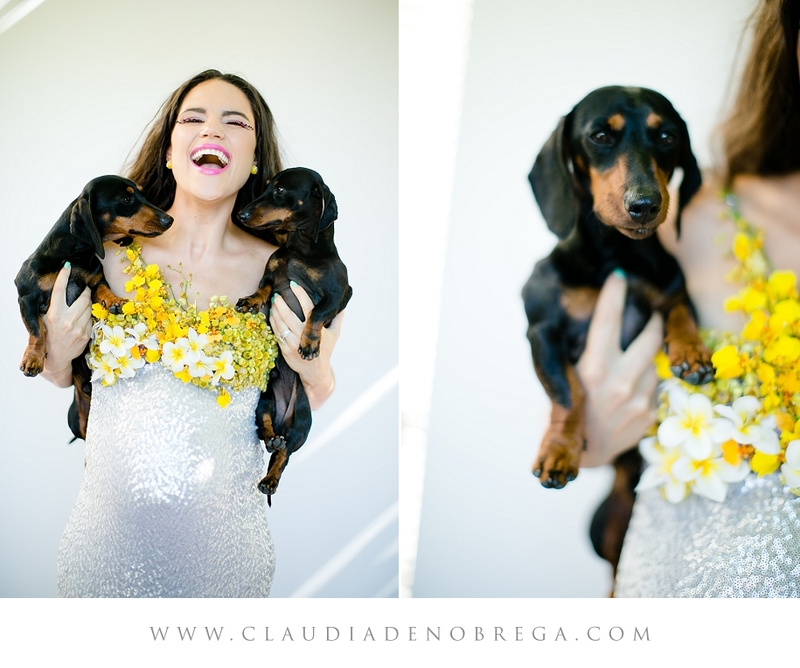 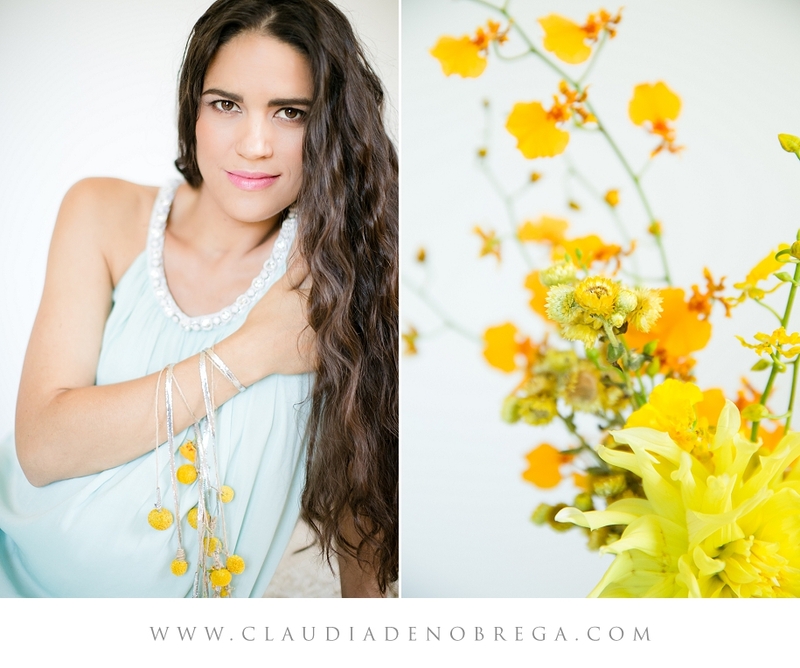 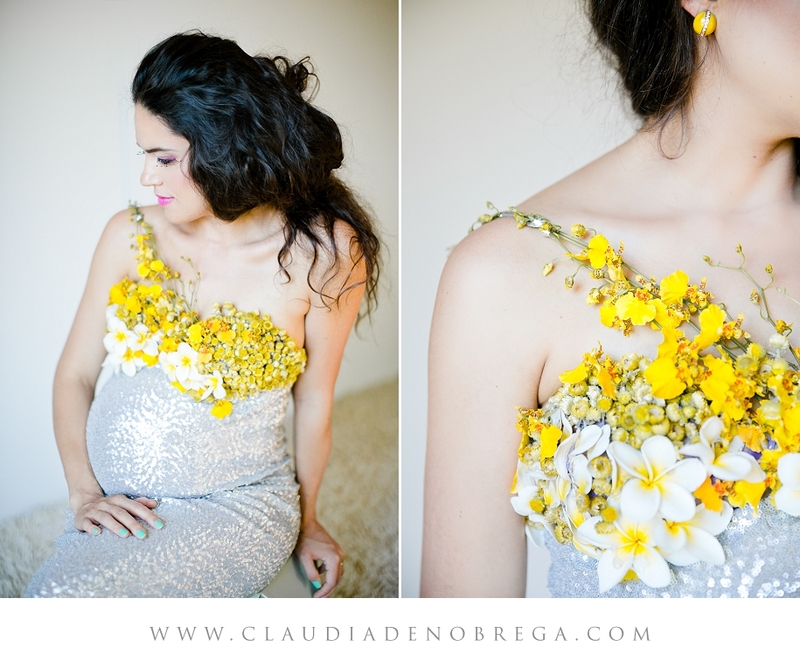 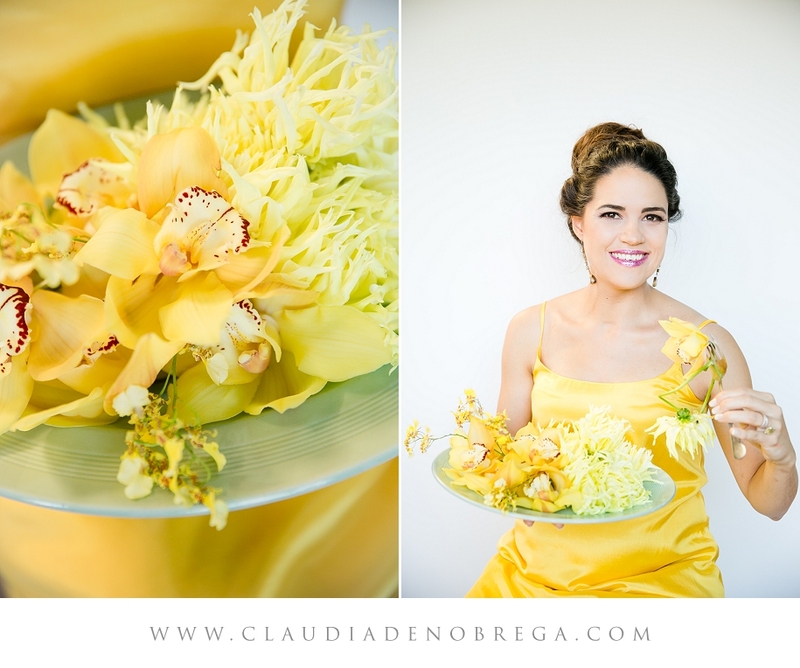 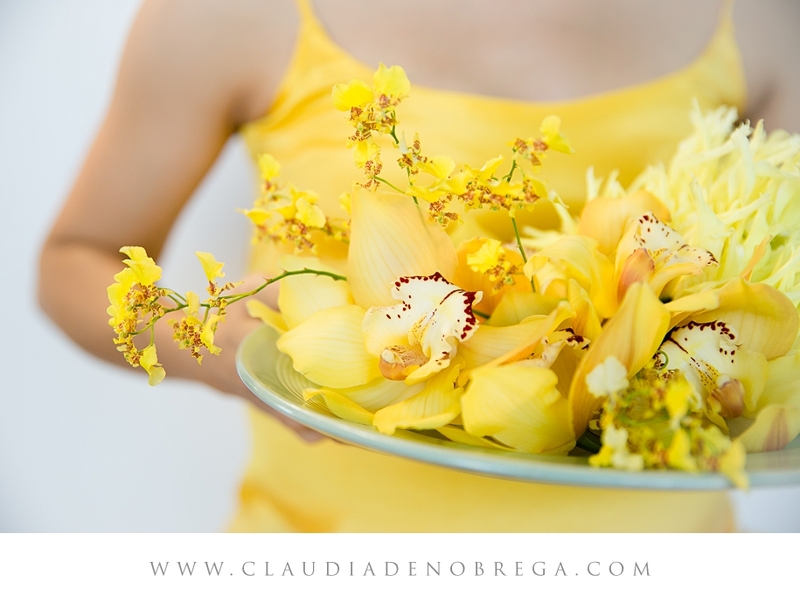 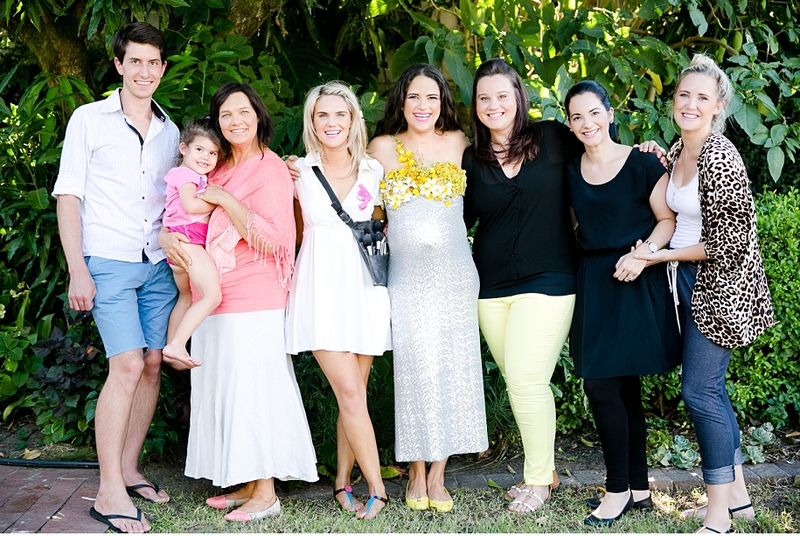 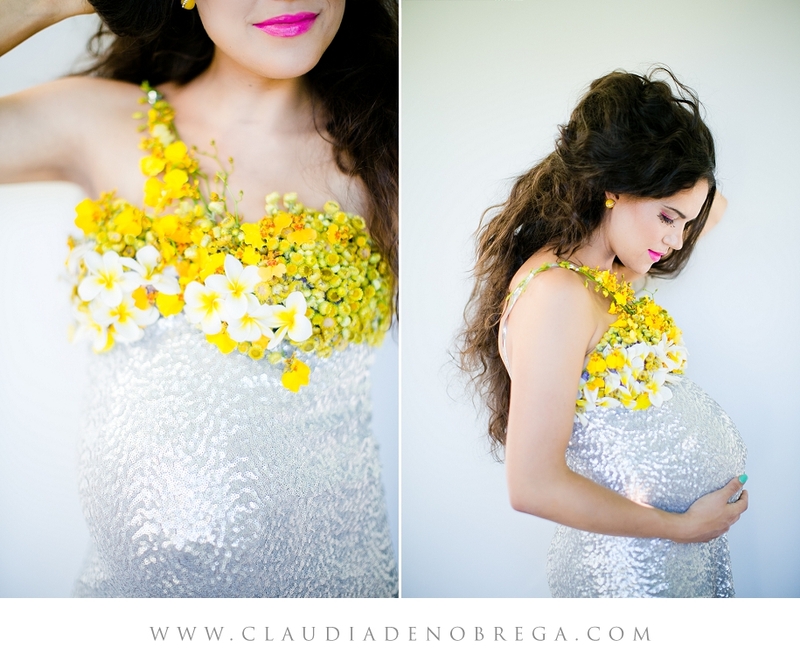 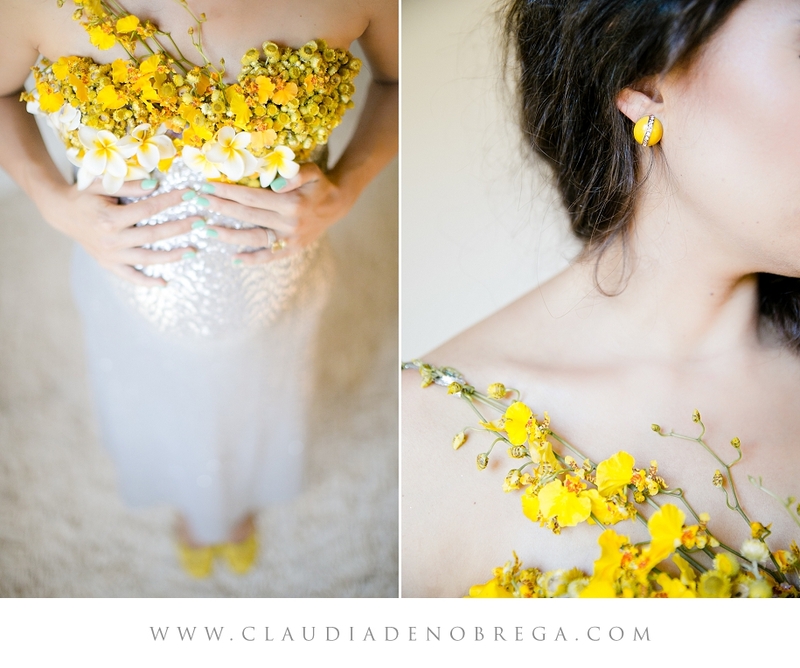 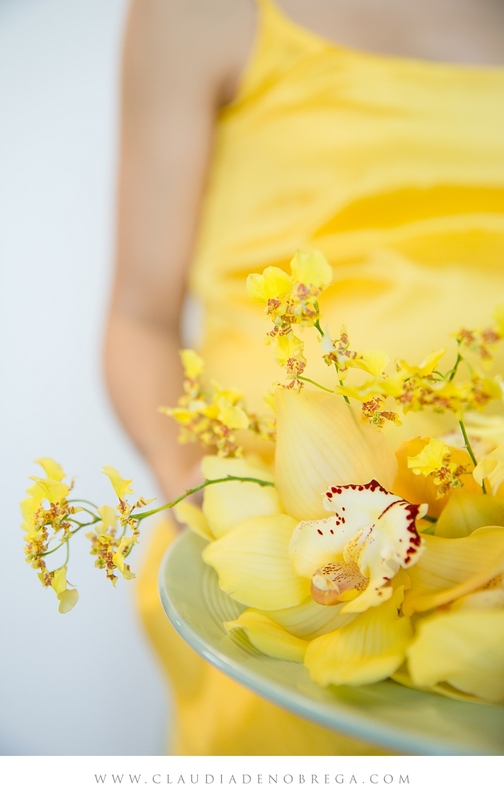 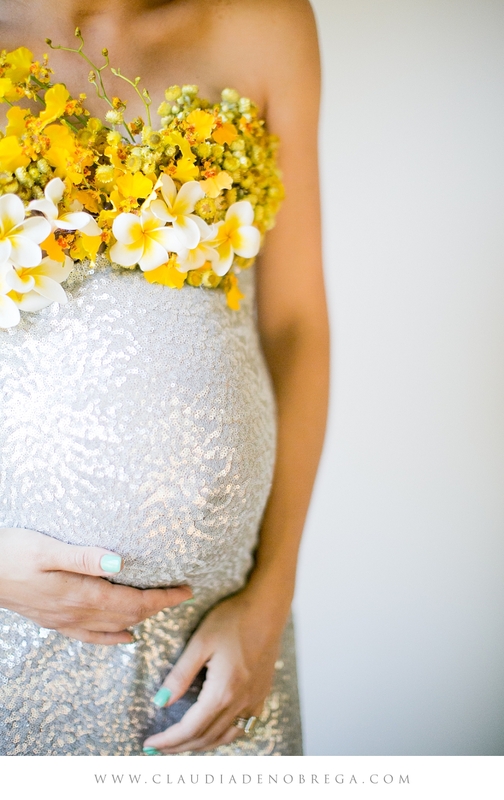 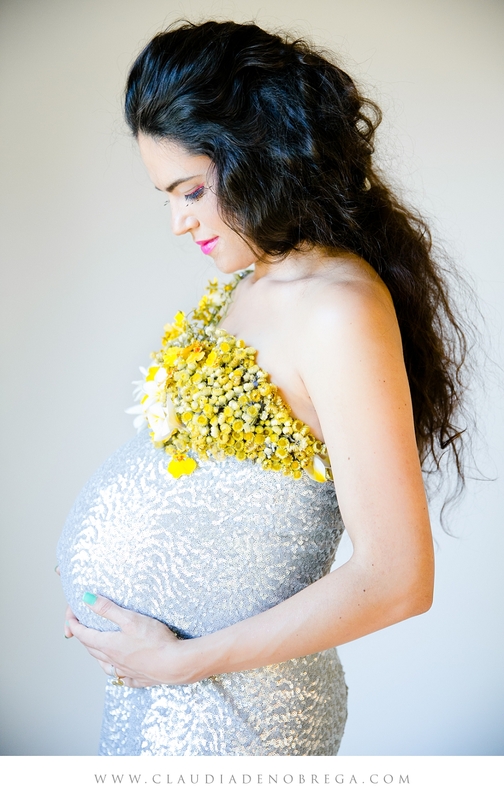 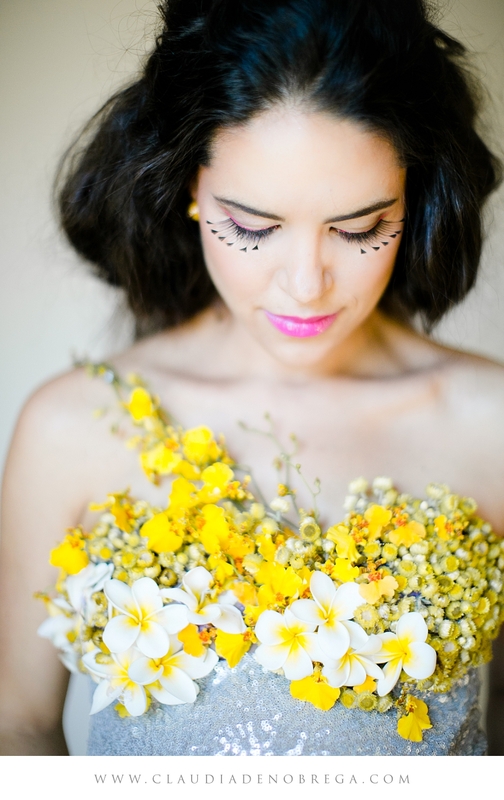 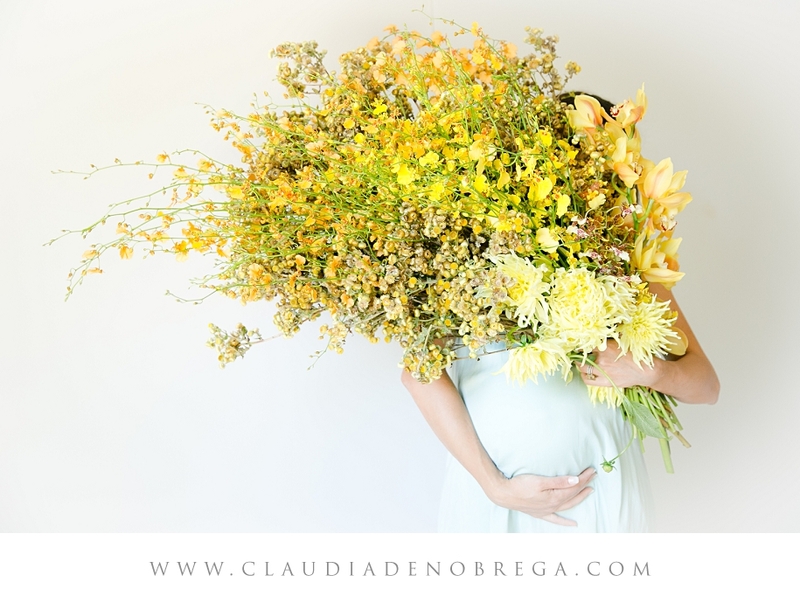 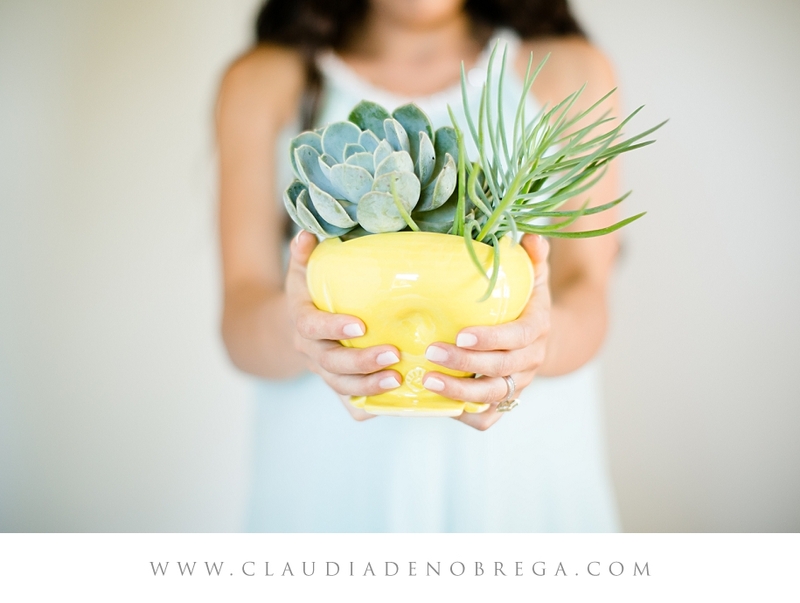 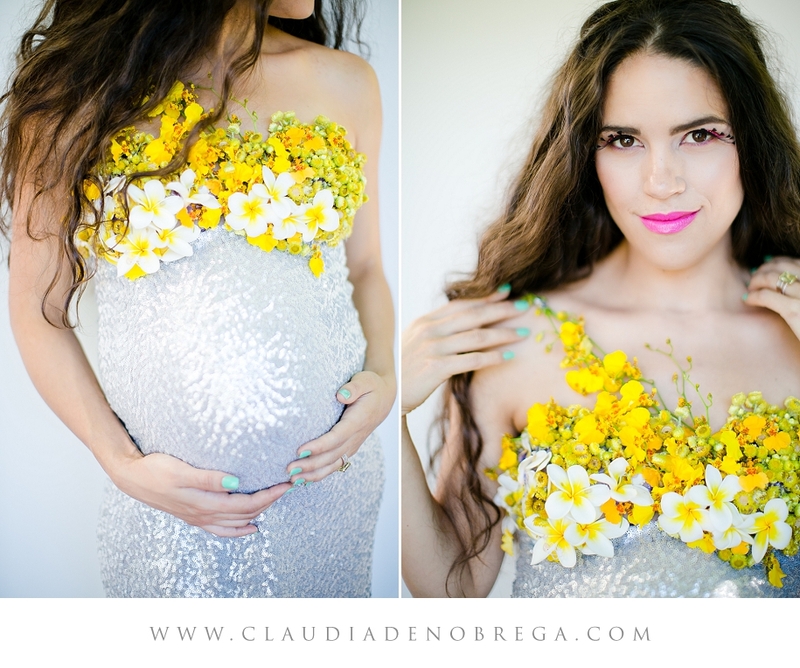 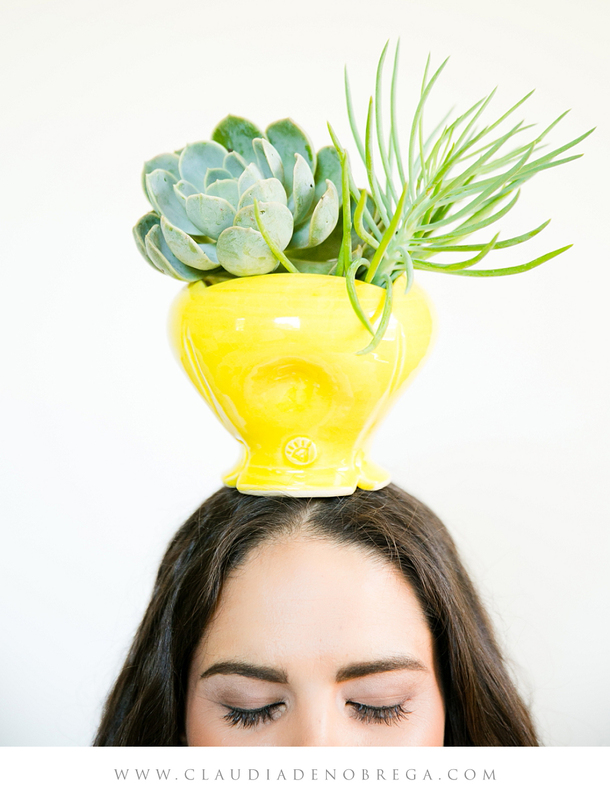 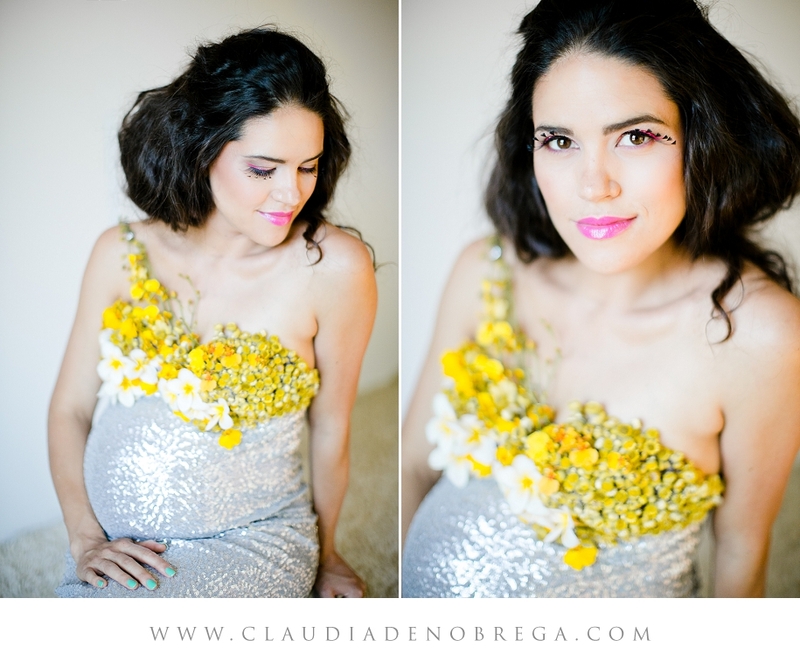 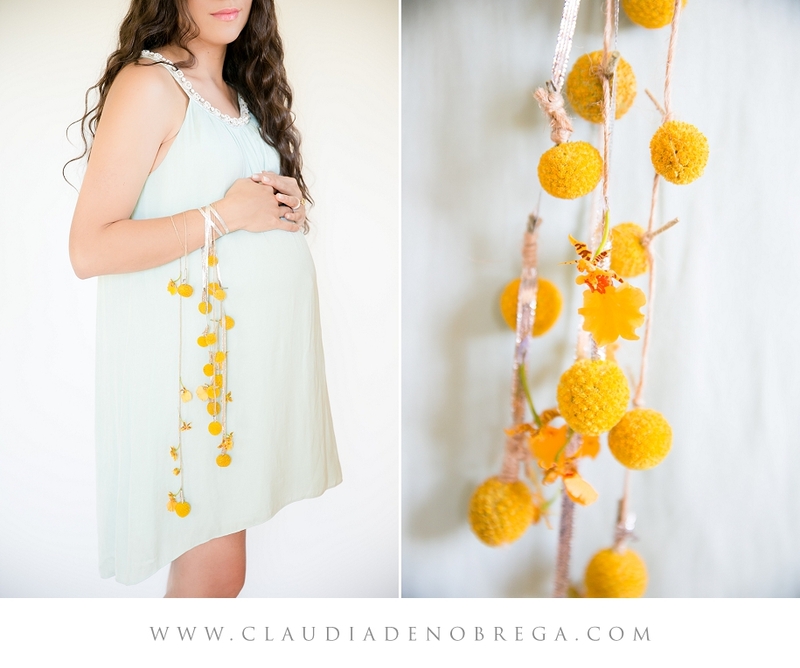 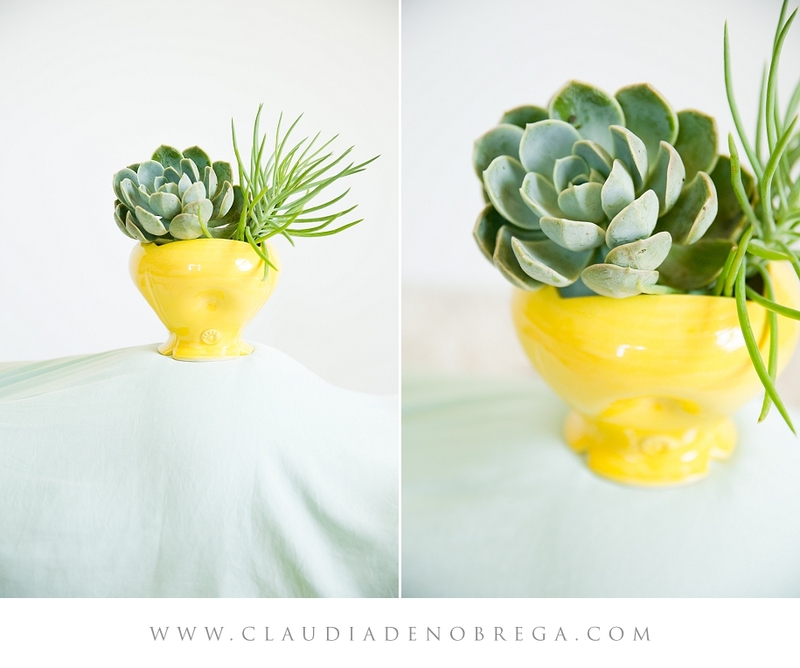 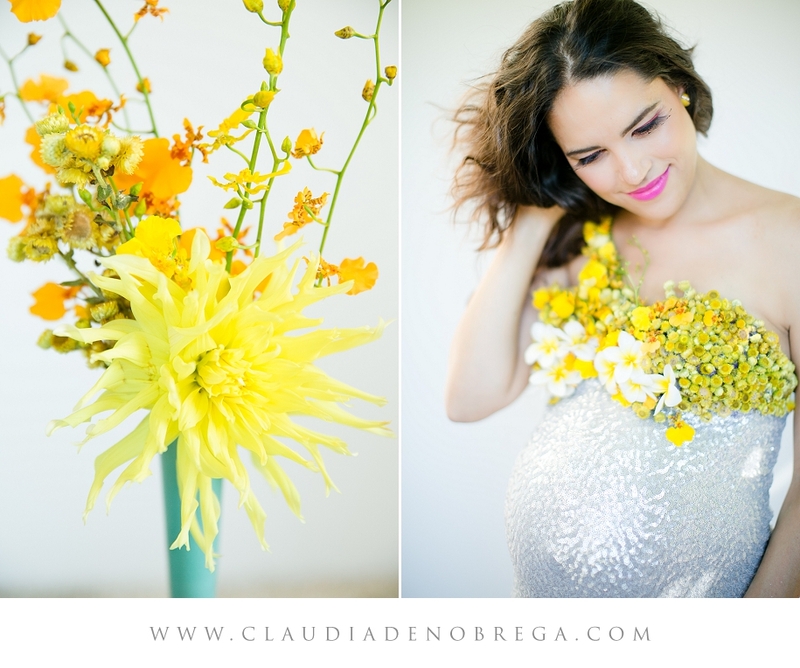 For her styled maternity shoot, yellow was the main colour focus, yellow is so bright and such a happy colour! 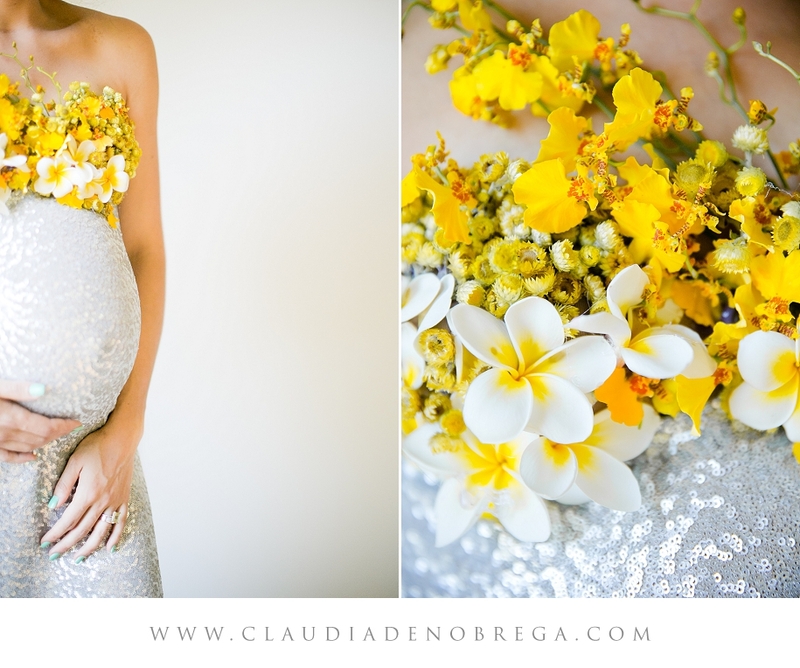 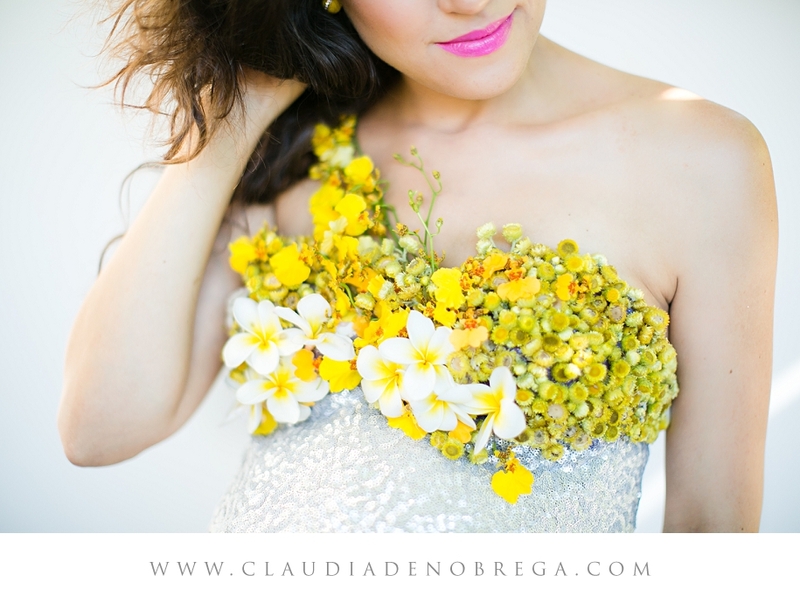 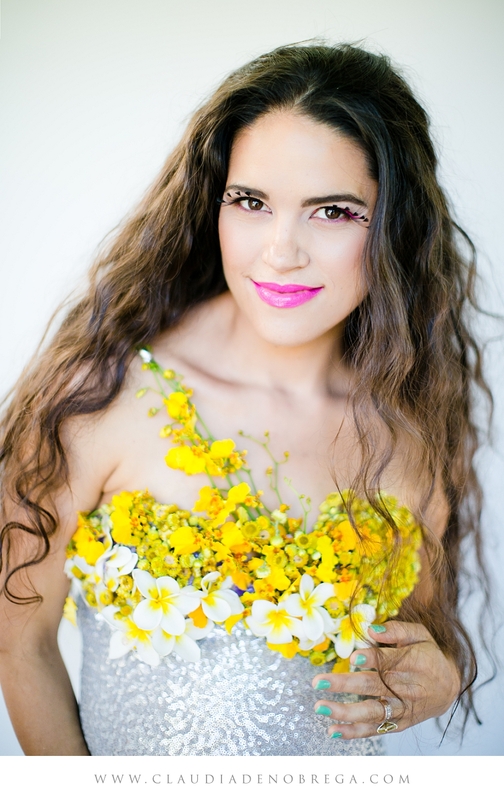 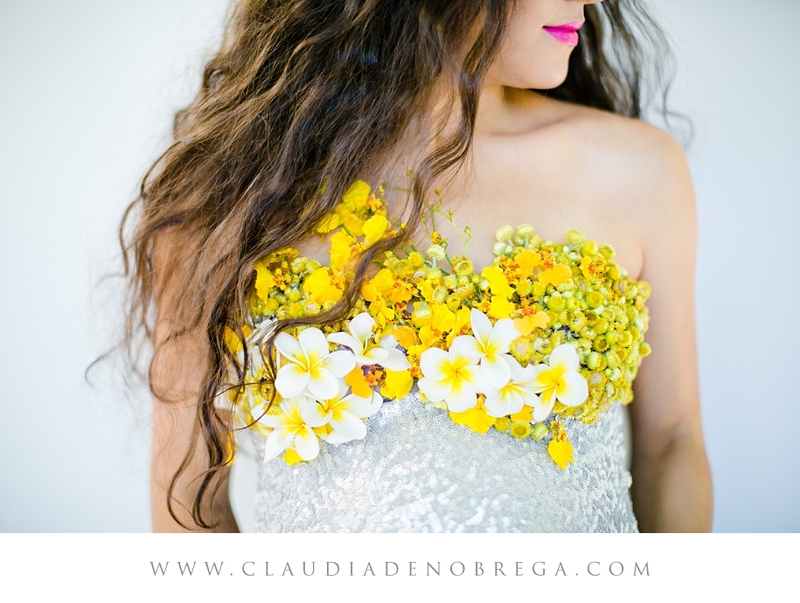 with a bodice of yellow flowers, arranged and placed perfectly! 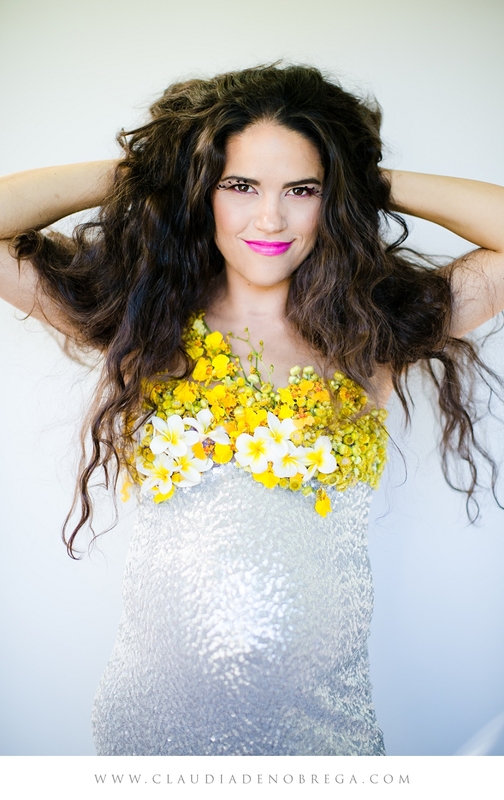 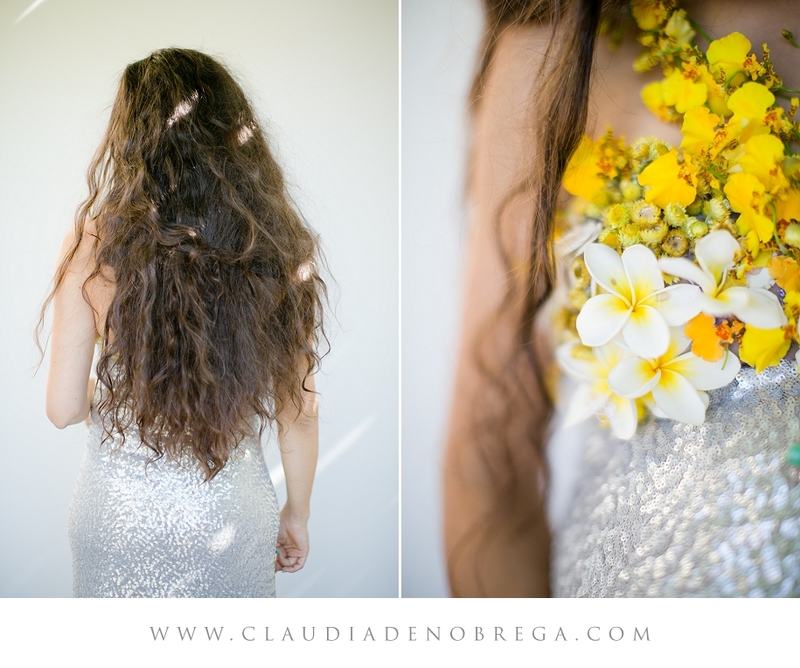 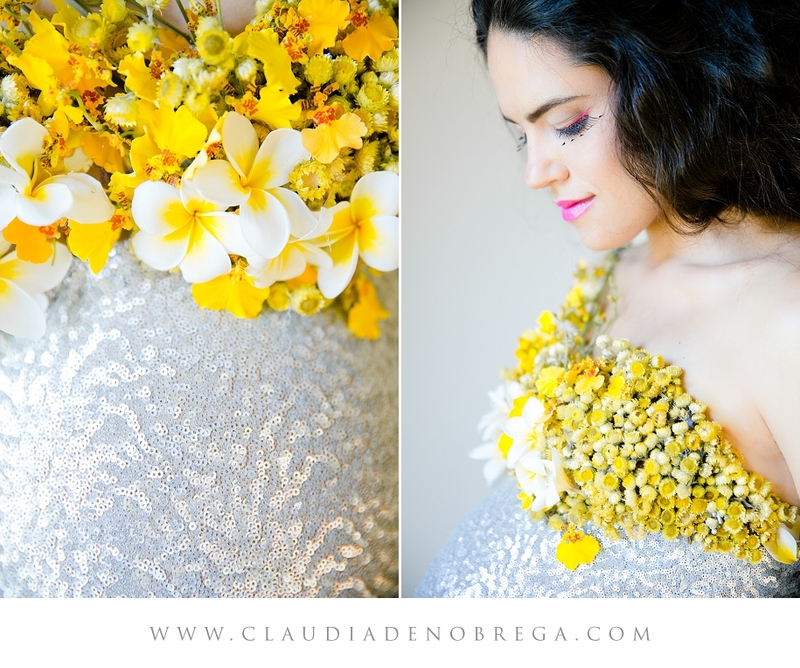 The bottom part of dress in silver sequence was hand sown by Heike herself and make no mistake these are REAL FLOWERS! 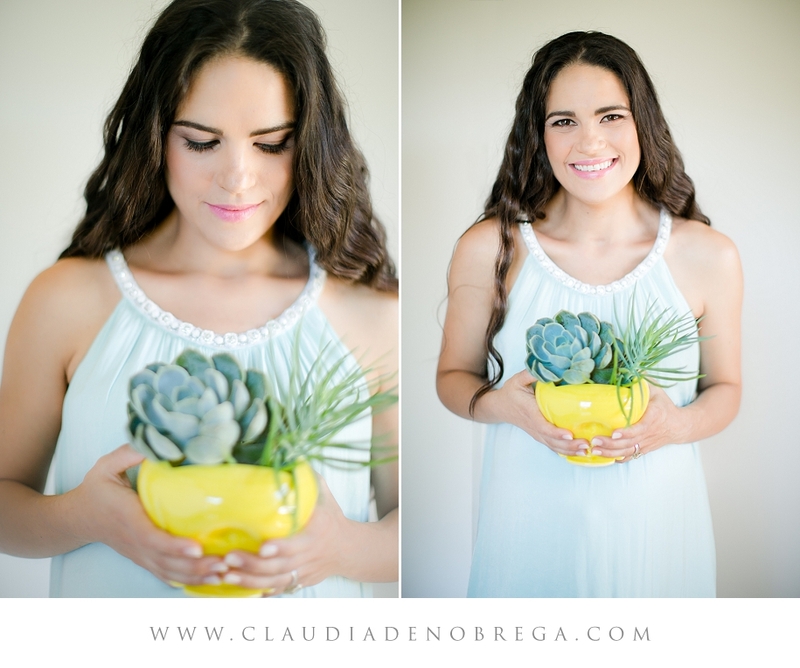 Heike is a woman of great faith and a beautiful heart, using Gods beautiful creations and turning it into everyday art that makes us all go WOW and stair in utter beauty! 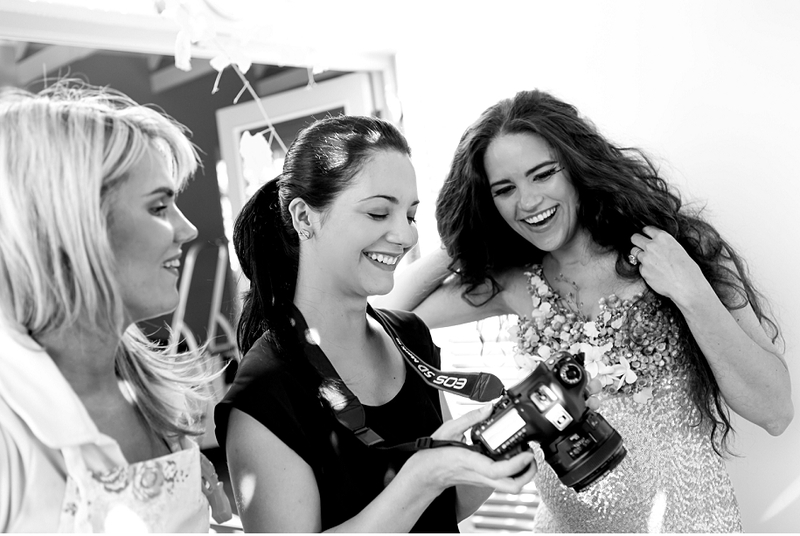 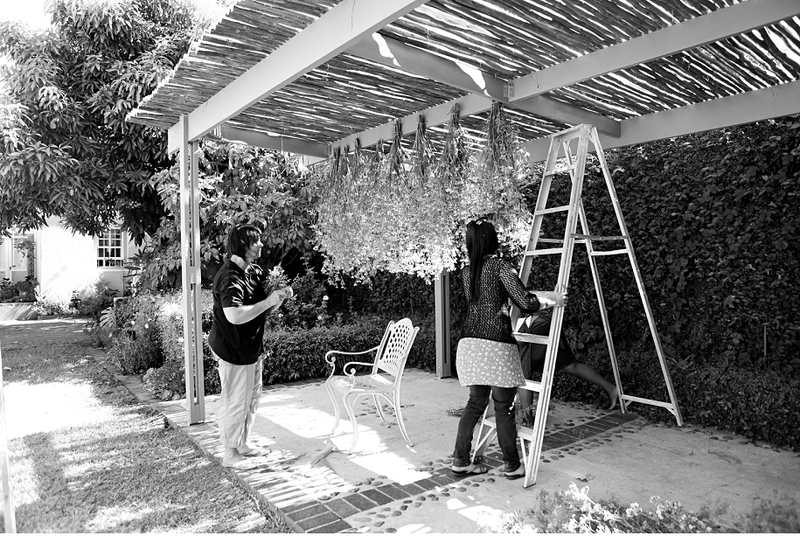 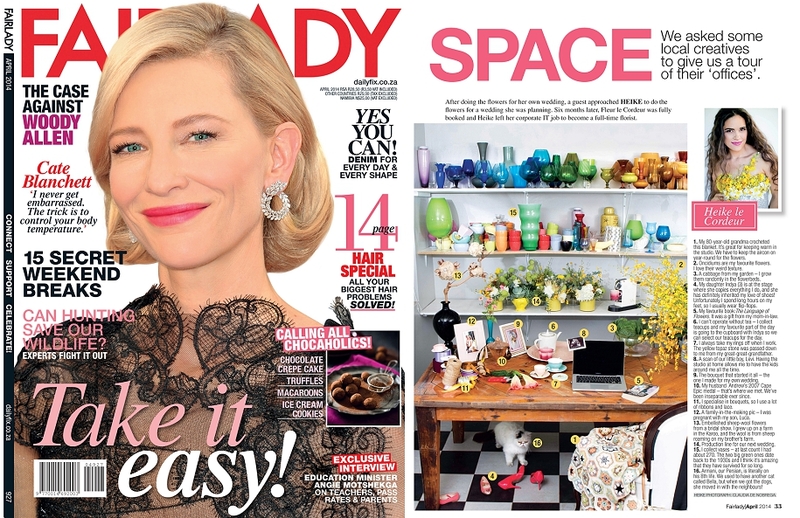 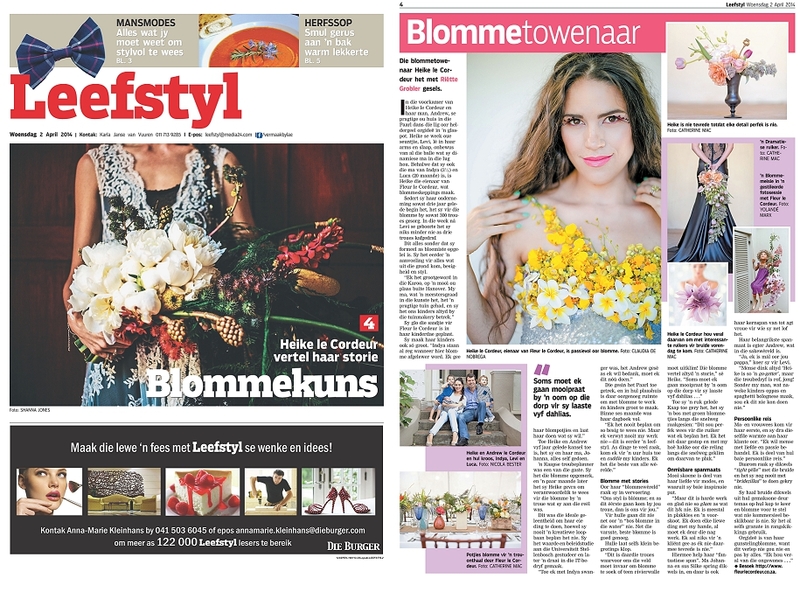 Thank you to Fairlady Magazine and Die Burger Leefstyl for featuring a few of my photos from this shoot. 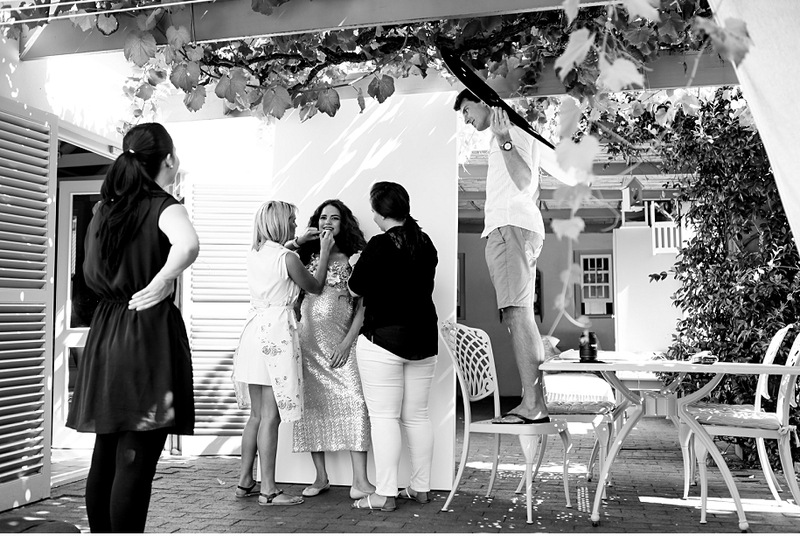 Thank you to the amazing TEAM of talented individuals who made this shoot possible!!! 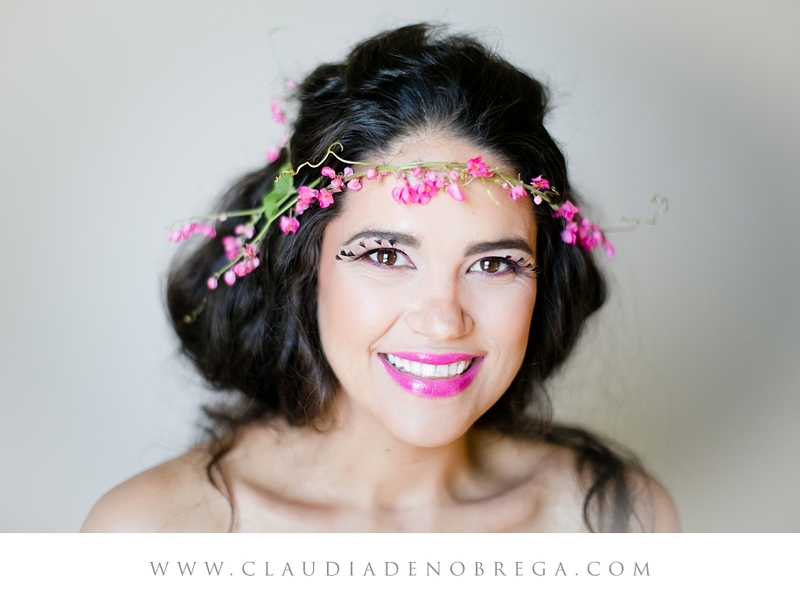 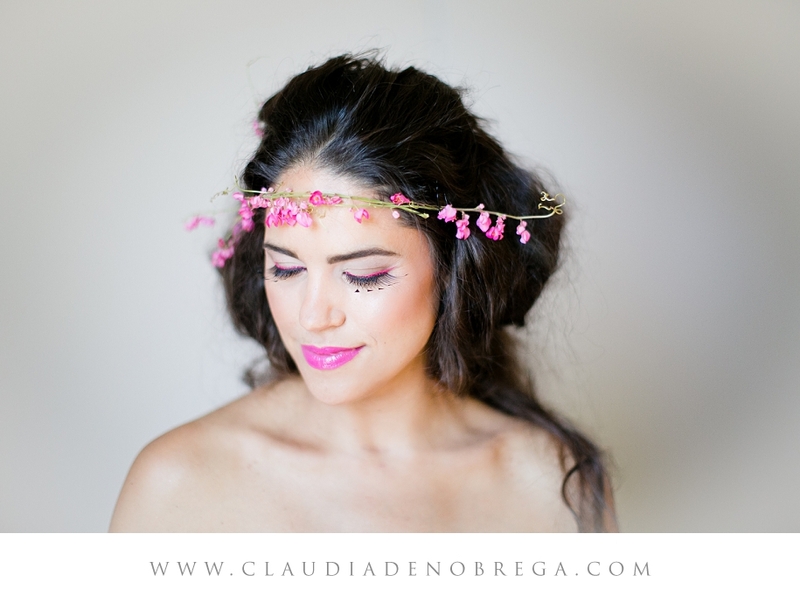 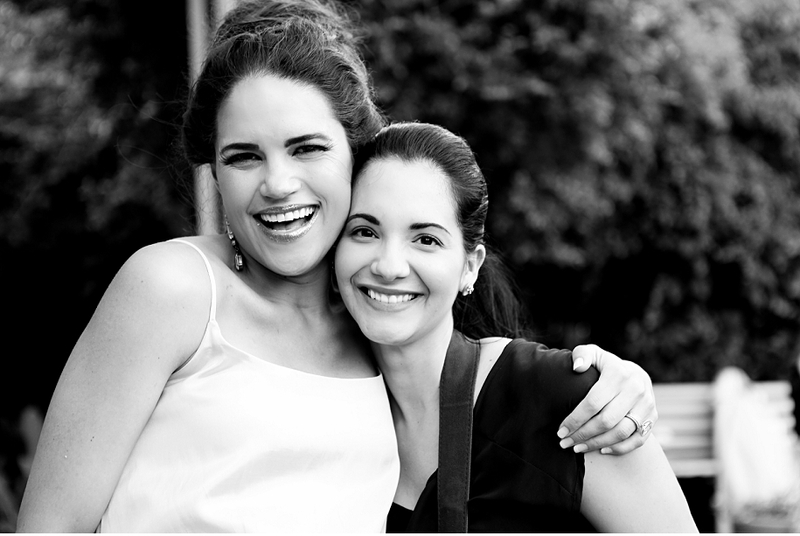 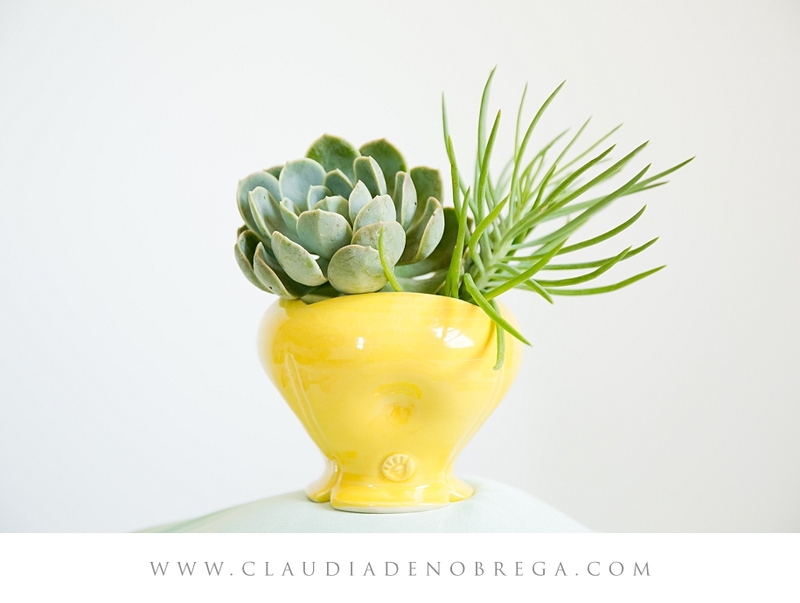 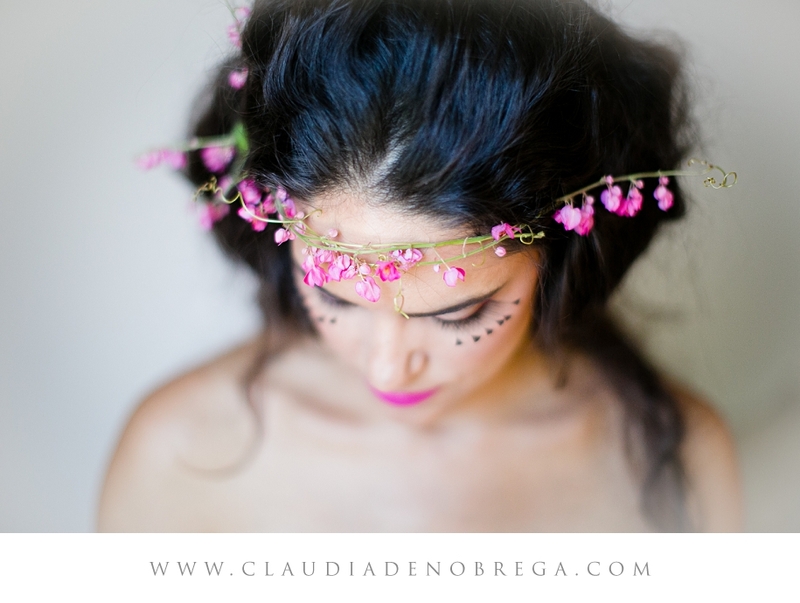 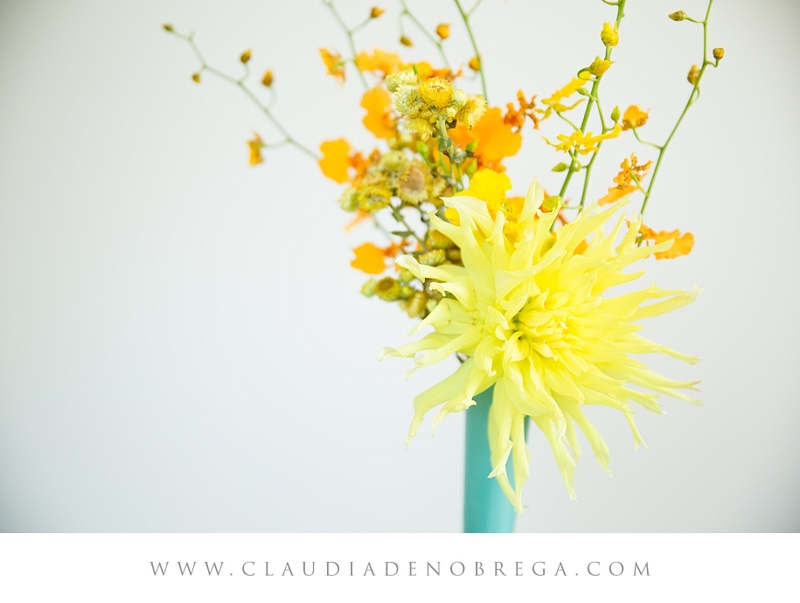 COPYRIGHT © Claudia De Nobrega. 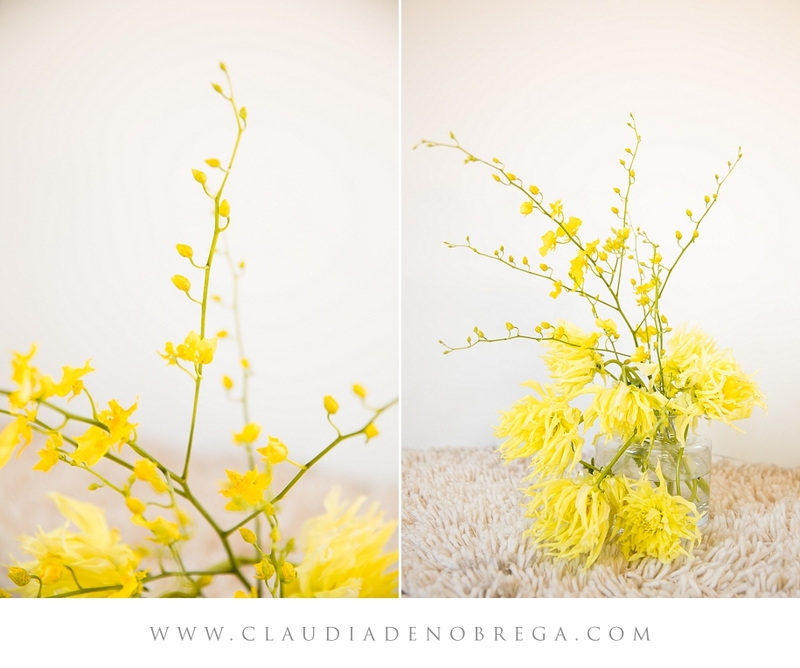 This blogpost and all photos cannot be republished or printed without permission. 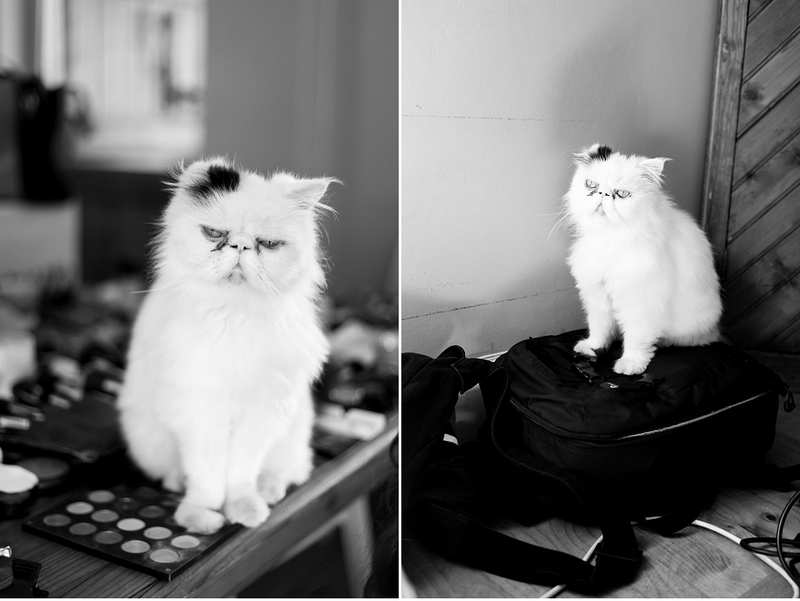 Stealing makes me sad. 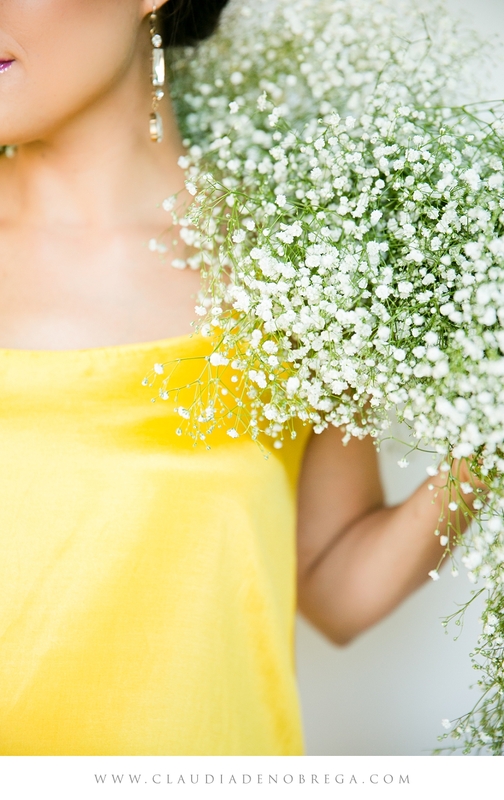 otherwise your comment will not be posted. 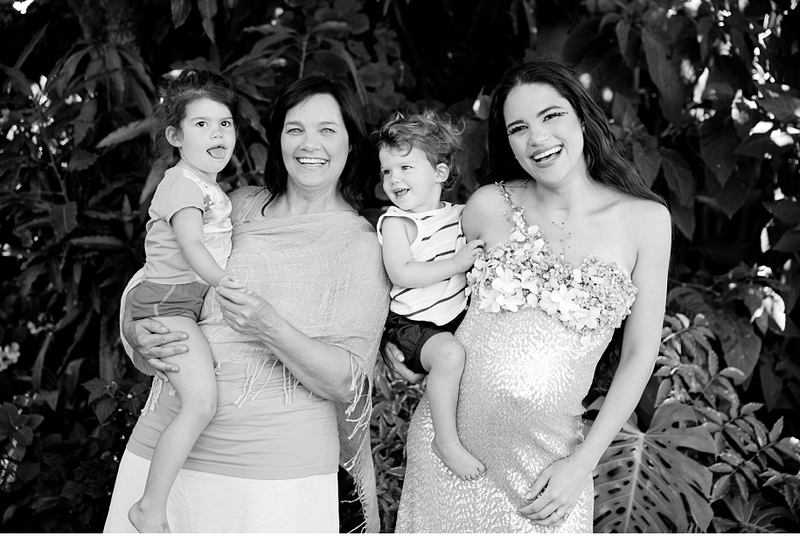 * Comments will show only once approved.